There have been a lot of things happening behind the scenes at The Hardball Times. We’re making a bunch of changes, to both the website and the Annual book. Some of them you can see right now, so we’ll start with those. I’ll be frank. We loved THT’s design. We think you, as readers, did too. When we redesigned the site back in 2014, almost all the feedback was positive, which generally isn’t what happens. (Well, we had to tweak the font a little, but other than that, the feedback was positive.) So it was hard to let it go. But Sean Dolinar has helped make the switch as painless as possible. The new address for THT will be www.fangraphs.com/tht. If you go to hardballtimes.com now, it’ll redirect to the new address. For starters, you’ll see that the clean layout remains — both on the jump page, and on the article page. Actually, I think the layout in article view is even cleaner. We’ve got the fancy jumbo picture on the top, and we have excised the sidebars from the article view. Now that the toolbar sticks to the top of the page, having a sidebar on the side is a bit redundant, at least for THT. The end result is a clean viewing experience, both on mobile and desktop. Especially on desktop. I’m very excited about this. The other thing I’m very excited about is the commenting system. We could never quite figure out how to import the FG commenting system over to THT, but with THT coming over to the FG blog umbrella, the comments here will function like at the other blogs. You’ll have to be a registered user of the site, and you’ll be able to up and down vote comments. It’s always driven me crazy that we couldn’t up and down vote THT comments. No longer! 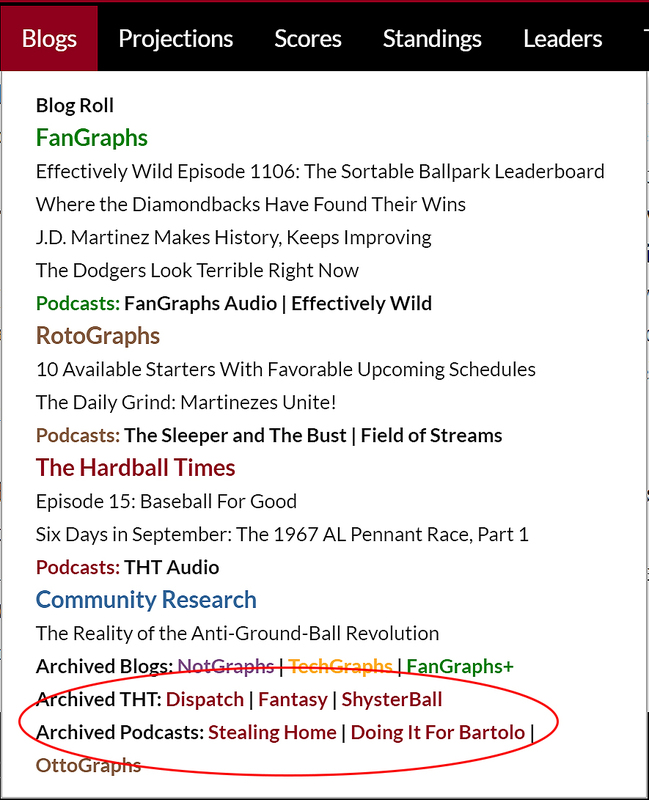 Another benefit of the switch is that if you’re an ad-free FanGraphs member, you’ll now be able to read THT ad-free! So, that’s pretty cool. And if you’re not an ad-free member, you just got another great reason to become one. These aren’t the only changes. One of the things you could find on the sidebar was the podcast. You’ll still be able to find the podcasts in a few different places, though: at the top of the THT jump page, and on the FG homepage, if you scroll down. Another thing you could find on the sidebar was the “On Deck” status, to let you know who is up tomorrow. This has actually been completely removed. Back when we changed the format and did the redesign, we thought that the best way to build trust in the new “one post per day” format was to put up the “On Deck” status. By now, I hope, we’ve earned that trust. In the four years since, I don’t think we’ve ever missed a day when we were supposed to have a piece up. And if you really want to know the week’s plan, Jen, Mary and Sarah usually drop that knowledge on each episode of THT Audio. Also on the chopping block are the “Our Favorite Things” link, which we never used like I thought we would. Joining them there are the two now-retired podcasts, “Stealing Home” and “Doing It For Bartolo.” The THT Live blog should soon follow. In a past life, THT Live was used constantly for all sorts of small posts. But since the redesign, it has been mainly used for announcements/site news. Now that THT has migrated over, it makes more sense for those types of announcements to be done at InstaGraphs, so that will be the plan moving forward. Other pages are moving as well. The Bookstore page will migrate to the FG Shop. The THT Glossary and the WPA Inquirer will find a home somewhere on FanGraphs as well, possibly in the FG glossary. Why not just get rid of the THT Glossary? After all, we have such a rich FG Glossary, right? Well, the beauty of the THT Glossary was its simplicity. So we’d like to keep that spirit alive, for someone who just wants a snapshot of the terms we use here. 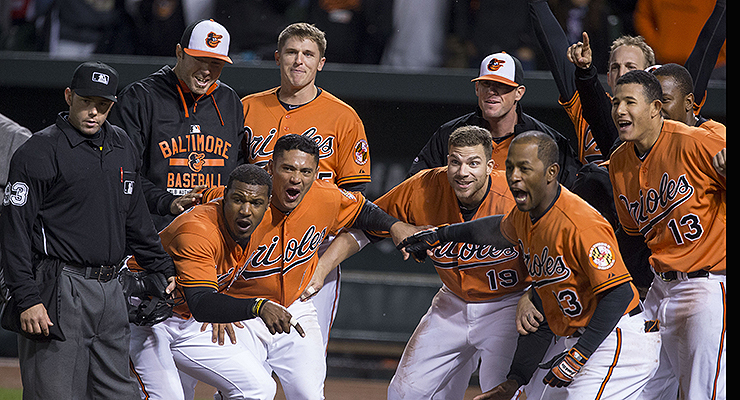 Finally, there is that de facto mission statement — “Baseball. Insight. Daily.” You’ll still see it, as it pops onto the top toolbar as you scroll down the new THT jump page. Moving the blog is probably a bigger change, because it affects how you read us every day. But changing the format of the Annual looms just as large. The subhead I think is self explanatory, but in case it isn’t, let me say it again — we won’t publish a physical copy of the book this year. It’ll be free to read here on the website (in its own special section), and it will be published in January. None of this was an easy decision, so please don’t think it’s something we take lightly. It has been one of the largest pleasures of my working life to be involved in the production of six books (the 2013-2017 Annuals, plus Jason Linden’s When The Sparrow Sings), but ultimately, not that many people get to read the words that we painstakingly produce each year. The hope is that the move to this new model will allow more people to read them. To that end, we are also changing the timing of the book’s release. In the past, we wanted to get you the book by Black Friday, because sometimes people purchased it as a holiday gift. But since we won’t have a physical product this year, and since it will be free of charge, we are not bound by the holiday-gift timeline. As such, we feel that the best time for publication will be in early January, when the baseball calendar sort of falls in on itself, and we won’t have to compete with the height of free agency for attention. The book will have its own special section on the website, which you’ll be able to access when we go live. What are the sections of the book this year? I’m glad you asked. There’s a change here as well. THT Annual 2018 will have four sections, just as in the past. “Commentary,” “History” and “Analysis” will continue as normal. But we’re replacing “The 201x Season” with “Fiction.” We figured as long as we’re trying new things, we might as well try a whole bunch of new things. The “Season” section is not dead and buried by any stretch. Let’s say it’s on hiatus this season. 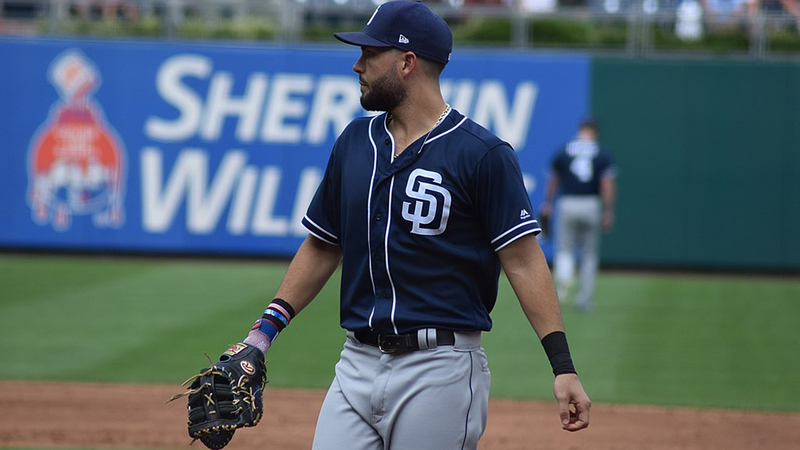 Perhaps September will have some pennant race treats for us, but given how the season has played out so far, it felt like the “Season” section would feel pretty rote, and that’s not something we’re interested in being. The “Fiction” section will be anything but rote, and it will be led by Jason Linden. Jason’s qualifications to lead this section are impeccable, if you ask me. He reads more books than anyone I know, and he’s also a high school English teacher who has written a baseball novel. Not bad, right? He’s going to be assisted by me, of course, but also by Amy Ryan. Amy is an editor and baseball fan who lives in the Midwest. She claims that however much you love Joey Votto, she loves him more. A bold claim, to be sure, given how much we all love Votto around here. What are we looking for? Well, baseball has to be in the mix, of course. We are a baseball site, after all. But our real hope is that, while your stories should concern baseball, they should not only concern baseball. Give us your best writing and make us feel something. We will be open for submissions during September and October. Please send your (5,000 words or fewer) story either as a Word doc or copy and pasted into an email to fiction@fangraphs.com. Winners will be contacted in early November. We look forward to reading your work. I’d simply add that as is the case with all other written content at FanGraphs, the writers whose submissions are selected will be paid. The only constant in life is change. These changes to THT and the Annual have been in the works for some time, and the timing just worked out that we could announce them simultaneously. We hope they’re changes that you’ll enjoy as a reader. Just know that these changes don’t change the mission to provide you with the same thought-provoking baseball content THT has been rolling out for over a decade. As Studes and I wrote back in 2014, that mission is unwavering. See you tomorrow. Wow- THT Annual was pretty much an automatic gift for me each year. Glad it’ll still be around, and maybe I’ll ask for that $ to be donated to a worthy charity instead. Also am happy to see the changes to the commenting system. I really appreciate THT’s focus on bringing diverse perspectives to baseball writing and think the site has really been a leader there. Having a better commenting process *might* encourage more constructive discourse, or, more pessimistically, maybe at least make it easier to identify trolls. I’ll miss having a paper copy of the THT Annual. It was an automatic purchase for me every year, and I loved being able to sit on the couch and read it in the winter while I waited for the start of the next baseball season. Do you have any plans to offer it in .epub or pdf formats so that it can still be read on ereader type devices? I look forward to the rest of the changes. I’ve always loved THT for the longer articles and content that I couldnt find anywhere else. Unfortunately, we won’t be offering it in epub or pdf formats. Does this break my RSS feed? If so, can you post the updated RSS feed link? I’m told it shouldn’t break your RSS feed, but if you notice any hiccups, definitely let us know. That is really cool, love the unbelievable content all in one place, how do we get BR to join the party and maybe unify WAR! I prefer having multiple estimates of WAR, just as there’s multiple estimates of inflation. The only thing to unify on is scale, which they have. unification does not mean you eliminate the other options. Sad to see the adoption of “voting” on comments. It adds nothing to a real discourse, merely encourages push-button thinking. What I like about the push-button is that if there are many comments in an artile, and I don’t have time to read them all, I can scan the high-ranked ones, and focus there. Sad to see the paper copy of the annual go away. It was a great bridge through the off-season, follow-on reference, and overall a personal highlight each year. You can tell that by the belated date of this post that some of us dinosaurs don’t spend as much time online as others.